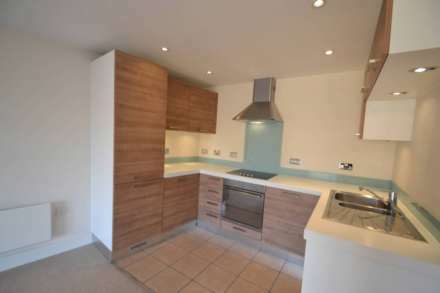 A truly stunning three double bedroom apartment situated in one of Epsom`s most popular developments. The property features a high spec fitted kitchen with granite worktops and integrated appliances separated from the lounge by a stylish glass brick wall. Large living room with corner sofa and dining table and chairs and private balcony. Master bedroom with full width built in wardrobes, ensuite shower room and study and private balcony. Two further double bedrooms, a family bathroom with shower over and separate WC. Secure underground parking available via separate negotiation. Part furnished and available now!